Panama is not the most popular country in the region - it's neighbor Costa Rica is way more famous. We didn't know what to expect from Panama but this tiny country exceeded all out expectations (contrary to Costa Rica which in a sense turned out to be disappointing). The capital city, comparing to other capitals of the region (especially to San Jose in Costa Rica) is pretty attractive from a visitor's point of view. Panama city is still a bit chaotic and the contrast between the brand new glass skyscrapers and old streets with holes in the pavement is still present, but there are certain sights that are unique - such us the historic center district or the Panama canal - the history if which is very interesting. But the main destinations in Panama you should be heading to are the unbelievable paradise islands - probably the best we've ever seen! San Blas islands belong to the local native community and are free of hotels, resorts and segregated beaches - it's just pure paradise at its best! If you think of the typical postcard from the tropics - they look exactly like that - or even better! White sand, coconut trees and beaches full of starfish - it's unforgettable. Another group of island can be found near the popular resort town called Bocas del Toro. This destination is more touristic and cheaper than San Blas - if you're a backpacker and want to save some money - come to Bocas del Toro as, unfortunately, Panama is not the cheapest destination. Typing "Panama City" in an image search engine will give you multiple results showing extremely modern and attractive skyline filled with a forest of impressive skyscrapers. Indeed, Panama City has the largest number of skyscrapers in Latin America and the view over the horizon is spectacular without a doubt. However, looking more deeply, the city is not as perfect. Often, the sidewalks between the glass high-rise buildings are damaged and some wires and other objects protrude directly from the ground. The pollution is another issue. 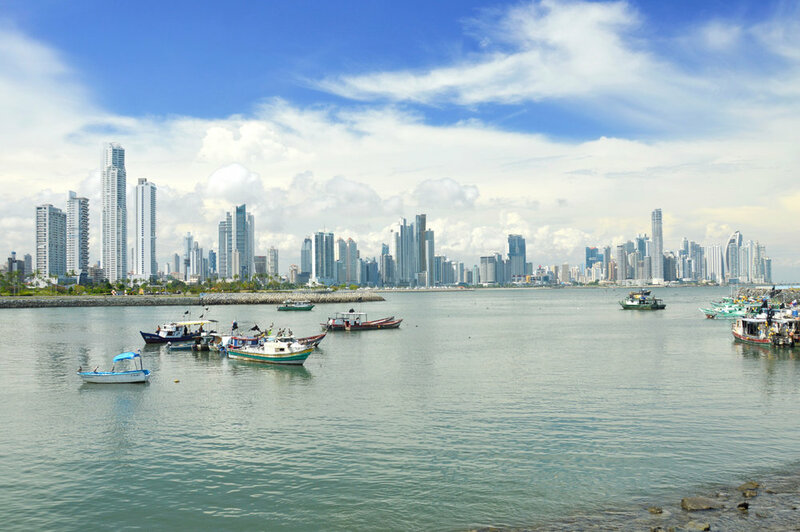 Nevertheless, Panama City is an interesting capital to visit, unlike some other cities in the region - such as San Jose in Costa Rica (take a look at my post about San Jose). Not many people know that Panama City, apart from the skyscrapers, also has a historical district called Casco Viejo which is an equivalent of an "Old Town". The architecture here is beautiful, very colorful and more and more buildings are renovated in a hope of bringing more life and tourists into this forgotten former heart of the city.